Provide comfort for the family of Jerome Carr with a meaningful gesture of sympathy. 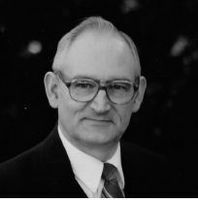 Jerome “Jerry” Brian Carr, Ph.D., 80, of Wellesley passed away Sunday, March 31, 2019. Jerry was born in Syracuse, NY, on December 17, 1938, and his family moved to Baldwinsville, NY, in 1945, where he graduated from high school in 1957. He met his wife Gudrun "Goody" (Bös) while studying at St. Louis University and they married shortly after he graduated with a B.S. in Geology in 1961. Jerry also earned an M.S. in Geophysics from Boston College in 1965 and a Ph.D. in Geophysics from Rensselaer Polytechnic Institute in 1971. Jerry was constantly expanding his scientific knowledge and became certified in the fields of Hydrology, Lake Management and Wetland Science. He enjoyed sharing his knowledge with others and taught courses at Purdue University and Boston College. Jerry worked as an oceanographer, geophysicist, and environmental consultant. He moved to Wellesley in 1969 and opened an environmental consulting firm, Carr Research Laboratory, Inc., in 1974, which he ran successfully for more than 35 years. As part of his work there he managed the water quality for the Morses Pond beach in Wellesley for many years. Jerry enjoyed spending time with his family, dancing, playing games of all sorts, and was an avid bridge player. He is survived by his wife of over 58 years, Gudrun Carr, and his children Christopher Carr, Jennifer (Sean) Gallagher, Donna (Brian) Leclerc, grandchildren Timothy and Kevin Gallagher, his sister Shelia Malley, brother Victor (Patricia) Carr, and many nieces and nephews. He is pre-deceased by his brother, Michael Carr. A service will be held Monday, May 6, at 10:00 AM at St. John the Evangelist Church in Wellesley. A private interment will be held at a later date. In lieu of flowers, donations in his memory may be made to the Boston Home for Little Wanders, www.thehome.org, or The Parkinson’s Foundation, parkinson.org. To plant a memorial tree in honor of Jerome B. Carr, please visit our Heartfelt Sympathies Store. To Goody and family: please accept my heartfelt sympathy in the passing of your beloved husband and father. I feel blessed to have known Jerry in our Waterstone community. I’m sure you all have wonderful memories to console you during this difficult time. Mary Bowers, Waterstone resident.